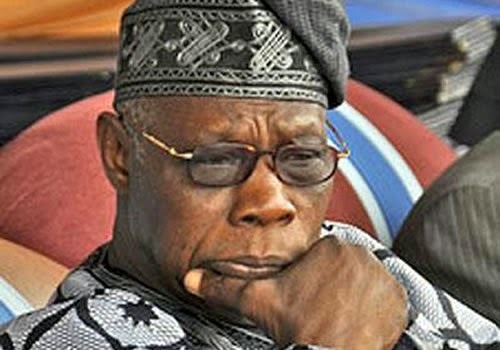 Former President Olusegun Obasanjo has fired another letter, this time, to the National Chairman of the Peoples Democratic Party (PDP), Alhaji Bamanga Tukur, in which he gave a notice of his withdrawal from the activities of the party.Obasanjo also sent a copy of the letter to President Goodluck Jonathan as National Leader of the party. A copy of the letter was obtained by the Saturday Tribune. 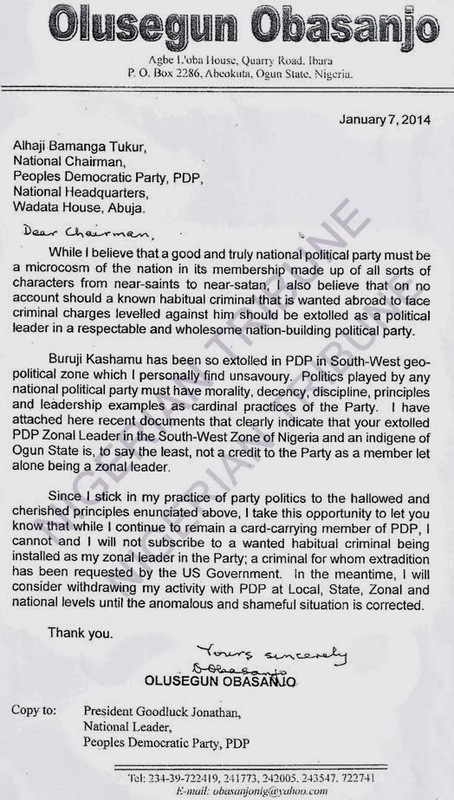 The former president, in the letter, said he was withdrawing from all activities of the party because the PDP had been negating the principles of morality, decency and discipline in its decisions, especially as they affect the South West where he comes from. 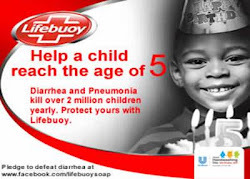 The letter, dated January 7, 2014, according to a source at the national secretariat of the party, was received in the office of Tukur on Wednesday, 8 January, 2014. It is believed that President Jonathan also got his own copy on Thursday.Obasanjo accused the party leadership of imposing someone (names witheld), who he described as a criminal wanted abroad, on the party as its South West zonal leader and proceeded to add that he was forwarding with the letter, “recent documents” on the alleged activities of the person.